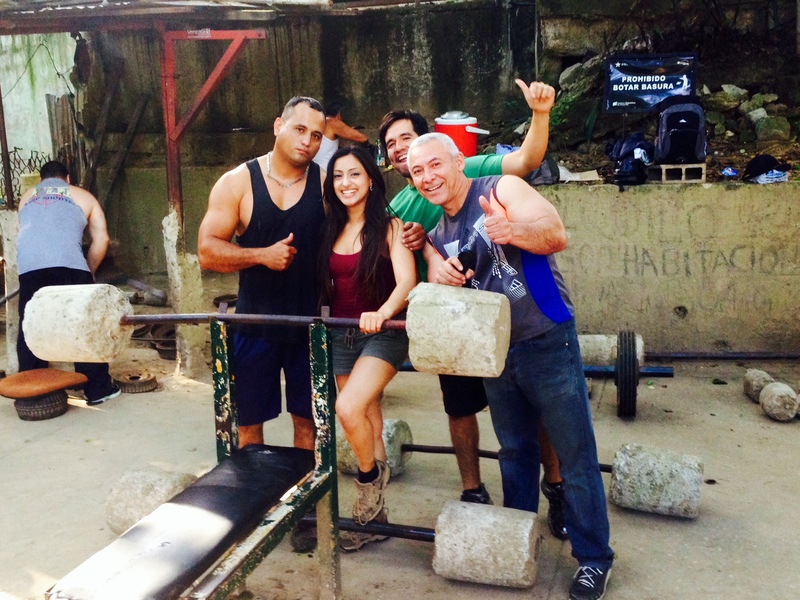 Parque Los Caobos is a beautiful public park where I stumbled upon Los Picapiedras – “The Flintstones Gym”. I noticed men training in weights made of cement. I had only ever seen such a scene in an episode of the cartoon, “Flintstones”. I thought I was well in need of training after eating all that delicious but rather rich food during the festive season. It was time to work it off and Johnny (Bravo), a muscle bound personal trainer showed me a few moves to try. It was like finding a jewel in the heart of the city, downtown. The gym had been running for years and was set up originally by a member of the public. It is also funded by all the gym goers in order to keep it open.